The Otus Student Performance Platform enables educators and administrators to upload Smarter Balance Assessment Consortium data for students. This student information can be uploaded and viewed within the Analytics, 3rd Party module of the platform. To integrate your student SBAC data, select Analytics from the left hand menu. 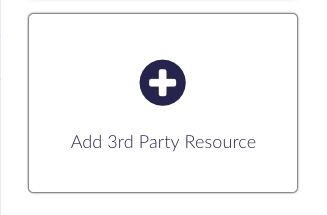 If you are uploading SBAC data for the first time, click the tile labeled 3rd Party resource. Choose Smarter Balance Assessment Consortium from the product list and click the arrow to the right. The next few screens will provide you with the option to download a SBAC template and then upload data for individual testing years. Click the upload button next to the year the data was collected and select the appropriate file from your computer. (You can upload multiple years at a time before clicking the arrow to the right). A spreadsheet icon will appear next to the terms that have been successfully uploaded. 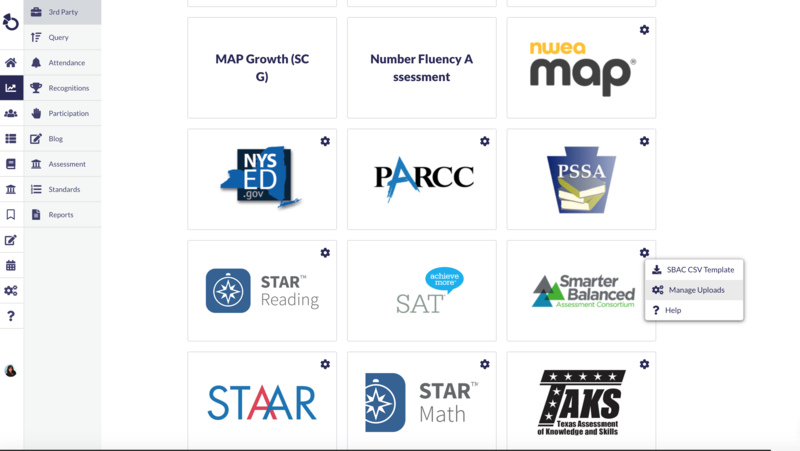 You can manage and upload new SBAC data by selecting the gear icon located in the upper right hand corner of the tile. Once you complete this integration process you will be able to seamlessly analyze your SBAC Assessment results within your Otus account.